Rats are familiar, convivial - occasionally belligerent! 11h p.m. – 1h a.m. Humans who were born in the year of the Rat (chinese sign 子) have a genuine, charming nature - complemented with a bright personality. A superbly functioning network is the profound foundation - but if the rat would decide to give someone its heart,–it represents its loving kindness. Within its family environment, the rat is reliable towards its family responsibilities. But be careful: Even so of having a close friendship or relationship to a rat, behave still careful – not telling anything at all. You should not communicate too much about your secrets – the rat's nature is not good at keeping secrets, it is too loquacious. This sign claims ability to represent curiosity, originality and highly intelligence.The zodiac sign of the rat is verily ambitious and determined – as soon as it knows what might be gained. 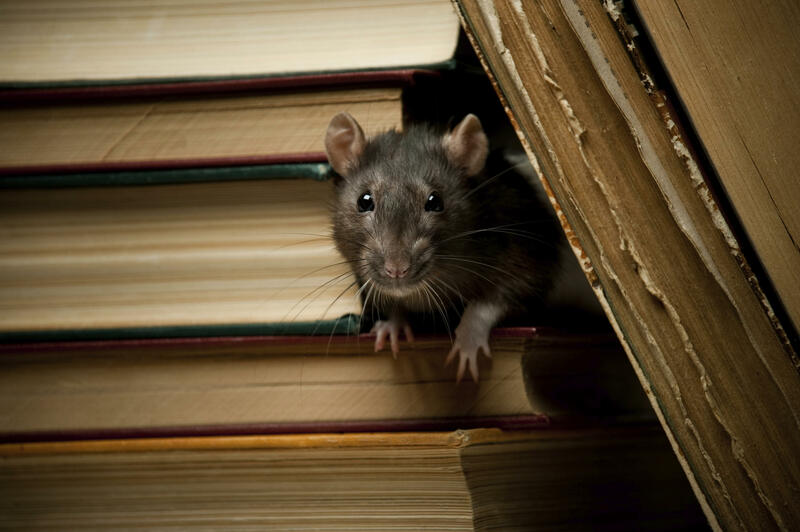 Rats work diligently and consistently in their career. The rat could show a tendency to behave harshly. Career is an important topic for the person who was born in the year of the Rat. The person of the zodiac sign Rat attaches value to inspired productions… its intuition is rather present and gives helpful advice. The Rat, in general, is ambitious and prepares functional results. The Rat gives energetic assistance and gives a strong impetus to career. The Rat prefers diversified occupation. Regarding romance and love matters the Rat is constant, romantic and affectionate. He Rat might be engaged with a person similar to it: intelligent, eloquent and ambitious. In the Rat’s opinion, the pursuit of happiness is only to realize by economic welfare… The partner, spouse or lover of the Rat should not be more luxurious on the one hand, but on the other hand, should teach a better life style. The perfect partner for the Rat would be the Monkey. Less prosperous might be the combination with the Horse, the Pig or the Rooster. The natures of both zodiac animal sign are problems in disguise – hiding complicated potential for arising conflicts. Born as an earth Rat you may be intelligent and responsible – with regard to other Rats you are more upholding traditions. Common sense is their measure – never allowing themselves being too risky and adventurous. The Rats are thinking over each single possible development – less pure profit oriented, but most carefully acting with taking into consideration of medium- term and long-term goals. The earth Rat is more level-headed than other Rat types. It avoids taking unnecessary risks. It prefers feeling the ground beneath its feet and is willing to bring on and adopts best measure. Passionate, ambitious and fiercely competitive: The fire Rat represents confidence and impatientness– bursting with strength. Innovative projects, renewals and improvements in general are set on the lists. Defying all odds they are regrettably haunted by pure egoism and their predominating behaviour won’t be welcome. On professional level the fire Rat dominates the upper floors of the managers and members of the executive boards. Energetic and combatively it shows its passionate ambition towards the focus of public welfare. The fire Rat is less close than other Rat types, but it is promoting truth and common sense. The zodiac sign fire Rat needs its freedom and likes wandering. They have the tendency to lose control concerning discipline, tact and competition. These kinds of persons prefer feeling the ground beneath their feet – close to their adequate element wood. Wood Rats endeavour of certitude in life. They collect material and non-material goods by maintaining of ethic and attitude to morality. Wood Rats are open-minded towards development and improvement. They bring up projects and ideas with persuasion and assertiveness towards lucrative sustainability. The element of wood reinforces the Rat’s specific needs of security and related topics. It is confident and wishes to live in accordance with firm principles. It is looking for satisfying results and solutions, if required. As a consequence the Wood Rat obtains success and social recognition. But for its personal environment it has a positive effect: water let things and thoughts flow. The water rat gives sensitive advice as soon as it is necessary to face conflicts. It is facing challenges and creates personal development on a higher educational level. The rat has a keen eye and is good at writing down thoughts. It has imagination and is reflecting from a distinct point of view. The Metal Rat is strong, firm and high principled. It is controlled when other are upset – keeps calm within challenging situations. Obstinate and with ambition - the rat follows its imagination and is equally goal orientated. The focus on career - it is the successful path for which it decides. Practising strong ambitioned and throughout regardless it is on its way. Kindly agreed to resume its path on career it might be chosen the proper way, but in a fancy shape!